Welkom to the Dutch Open Taekwondo G1 Championships 2017! 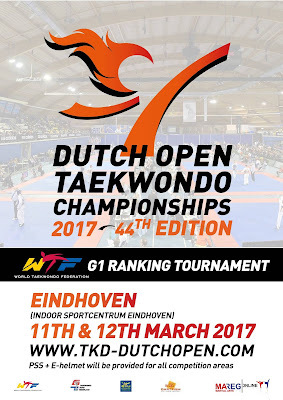 44rd Dutch Open Taekwondo Championships 2017! 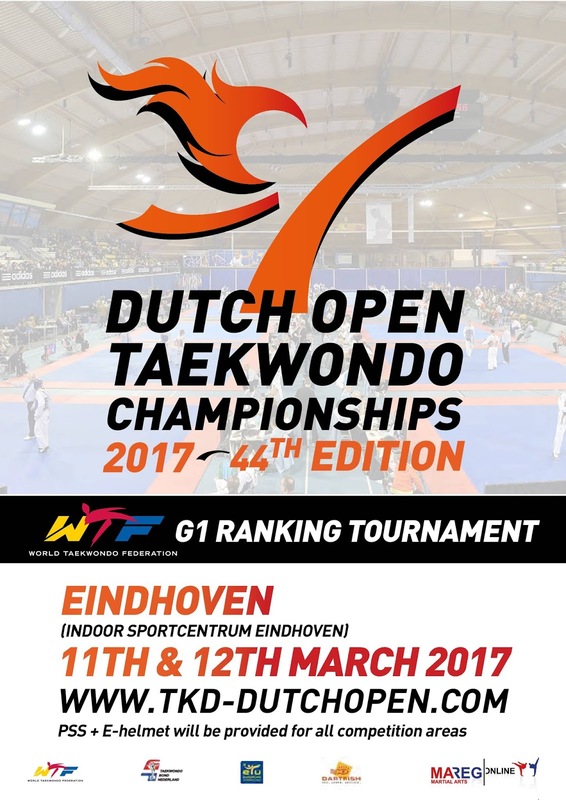 The championships will be held in the city of Eindhoven on the 11th and 12th of March 2017. 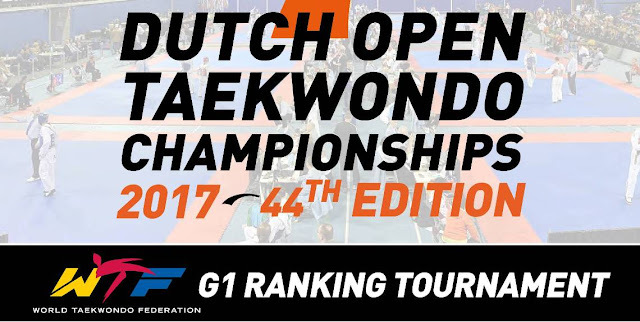 The World Taekwondo Federation has selected the 44th Dutch Open Taekwondo Championships as WTF-G1 ranking event. All competition area’s will be equipped with, KP&P Adidas electronic body and headgear and video replay for all divisions. The 44th Dutch Open Taekwondo Championships 2017 will have the best referees in order to guarantee maximum transparency, fair play & impartiality for the athletes. successful! If you need any assistance, please do not hesitate to contact the organization team. forward to welcome you in the city of Eindhoven.